The High Court-constituted negotiation committee has come out with an enhanced package to woo the landowners to ease the deadlock situation over land acquisition of the 500 metre stretch of the MRTS from Adambakkam to St Thomas Mount station. The land acquisition as part of the phase-II extension of the MRTS project has been contested in court by the landowners and the new recommendation by the negotiation committee is to pay the landowners an additional Rs 3,330 for every square foot of land acquired. The revised compensation amount has been arrived at by obtaining the sales statistics from October 1, 2017 to September 30, 2018. With the revision in compensation, the landowners will now be getting more than Rs 8,400 per sq. ft. Inadequate compensation has been raised as one of the major concerns by the landowners. 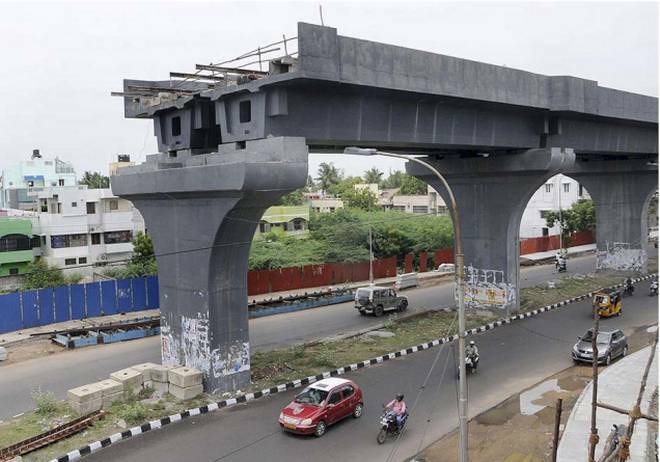 The New Indian Express has reported quoting the Railwaysources that the five-km stretch for phase-II extension of the MRTS was sanctioned at a cost of Rs 495.75 crore. But now the cost has shot up to Rs 919 crore due to recurring delays over litigation pertaining to land acquisition. The extension up to St Thomas Mount will benefit several people including those working in IT establishments near to the MRTS network. People from neighbourhoods along the Beach-Tambaram-Chengalpattu line could easily reach the IT corridor.